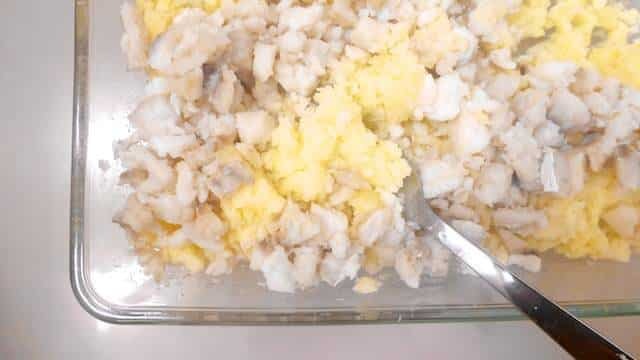 Put the salt cod in a baking dish (or another large container) and add cold water until the fish is fully submerged. 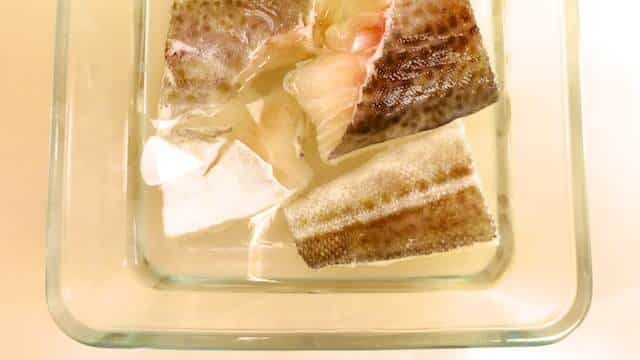 Let the cod soak for at least 8 hours in the fridge. Refresh the water once. Then discard the water. Remove any skin or bones first. Dice the cod.Once the salt cod has soaked enough, get rid of the water and squeeze the excess water out of the fish. Then check the fish carefully and remove any skin or fishbones first. 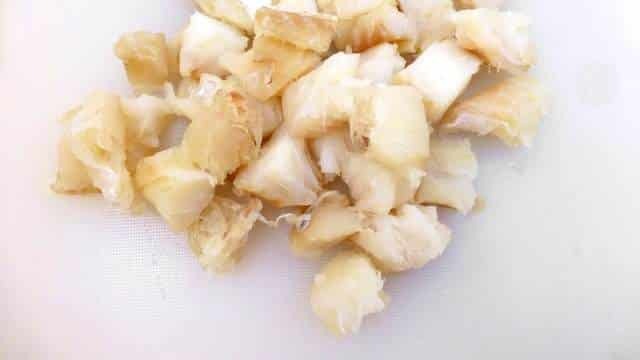 Chop the cod into small dice. Place a large pan with salted water over high heat until boiling. 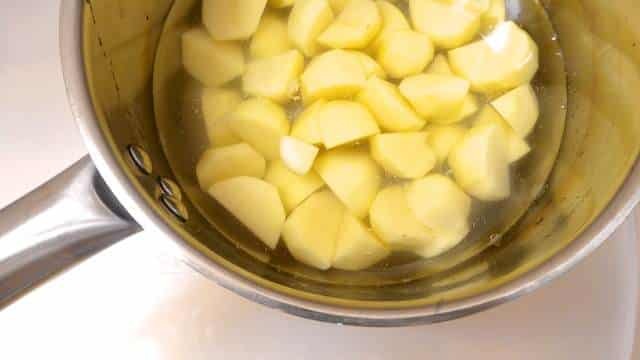 Chop the potatoes into small bits and add them together with the garlic to the boiling water. 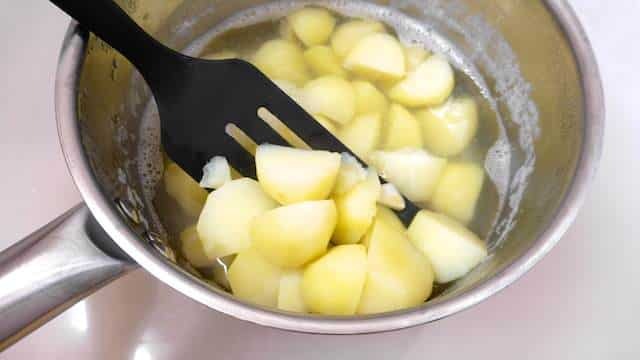 Cook the potatoes and garlic for 8 minutes until tender. Then remove them using a slotted spoon. Transfer this to a large mixing bowl. Now add the diced salt cod to the hot water and poach the fish for 3 to 4 minutes. 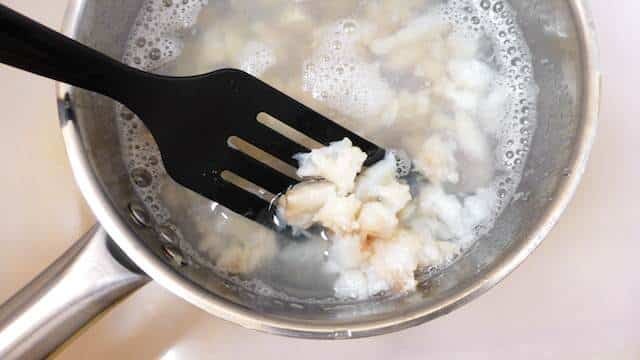 Then pour the cod and the poaching liquid through a sieve and let it drain a bit. In the meantime mash the potatoes and garlic. Also add the poached cod to the bowl and season with a good pinch of pepper and salt. Mash them up until you get a smooth puree. Stir well. 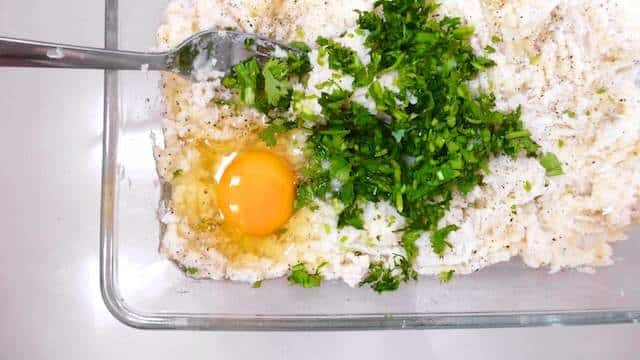 Add the egg and chopped herbs. Stir well. Check the seasoning and add extra pepper or salt to taste. At this point you can cover the mixture and let it chill in the fridge for a few hours. Then form little balls from this mixture. You can use 2 spoons and make quenelles or use your hands. I made 21 balls of 1 oz (30 g) each. 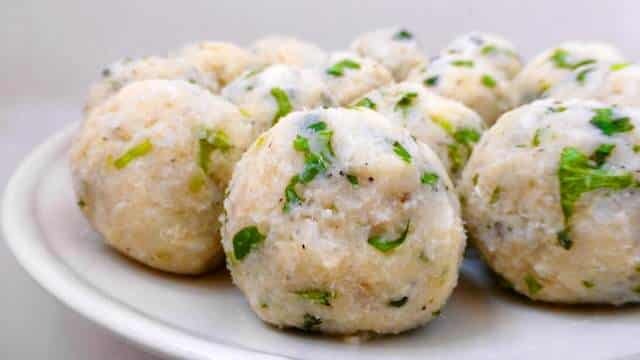 Place the balls on a clean plate, cover lightly with cling film and put this in the fridge for at least 1 hour. 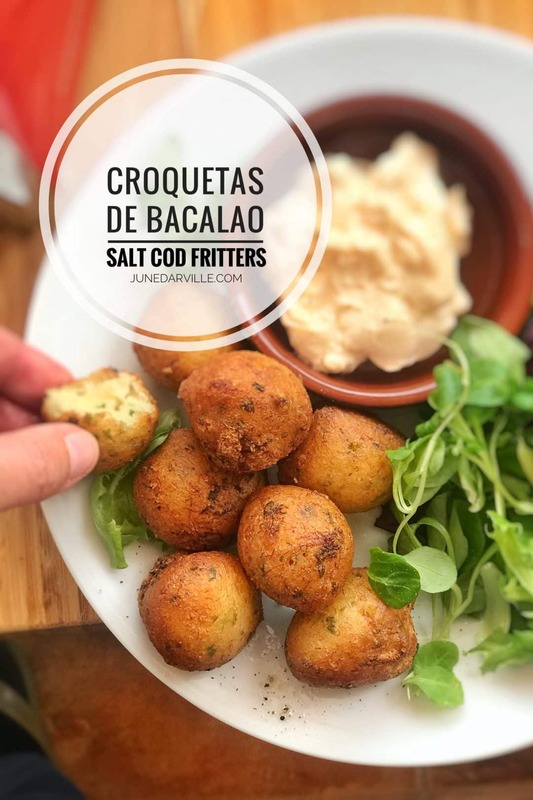 You can coat the fritters lightly with breadcrumbs if you like (optional). Then deep fry the croquetas de bacalao in hot oil (in batches if necessary) until golden. Serve hot.